It is not an overstatement to say that it has been hell of a year for Third Wheel Brewing in St. Peters. Last year, Third Wheel was included in the list of top 50 new breweries across the United States and Canada, by BeerAdvocate, a leading craft beer publication and online beer community. So, how do you top such a huge first year? 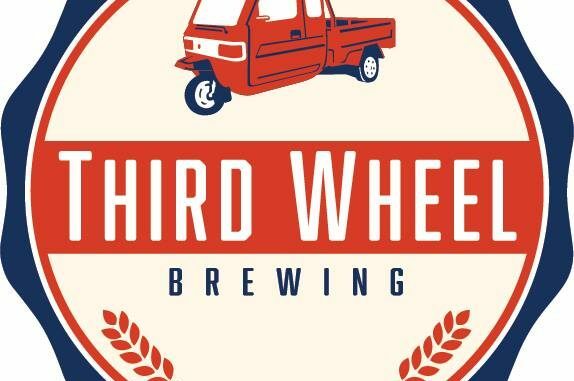 We reached out to headbrewer Abbey Spencer to find out what Third Wheel Brewing has planned for 2019. I expect 2019 to be a big year for us. The biggest change is we will start limited distribution later this year. Expect to see draft options in and around the St. Charles County area, with cans to follow shortly. We have a few yet-to-be-disclosed collaborations that I’m looking forward to. And we are growing our barrel program this year to include more spirit barrels as well as a few sour projects. We have several new beers coming out this year. First is our double IPA with Nelson Sauvin hops, Sauvin Faire, to be released on January 26th. Also, we’ll be bottling our Robust Porter with peanut butter in 22 oz. bottles to be released in early Spring. We’ll have several barrel aged releases, but we’re just waiting patiently for them to finish up. We’ll release BOSS, our Imperial stout, again in June for our anniversary party. There will be another variant this year (last year was Coconut BOSS) also to be released at our anniversary party. I’m very excited to have organized our lagering program. We will be releasing our first Vienna Lager in the next month (by mid February), followed by our Hidden Pool Pilsner in the Spring, Imperial Oktoberfest in the fall and a Dark Lager in the winter. Absolutely. That includes the Vienna Lager, Sauvin Faire (double IPA with Nelson Sauvin hops), an Imperial Berliner Weisse with fruit. I feel growth has slowed a bit, which allows me to get caught up on all the new breweries that have opened in the last year! I look forward to visiting some of the new places and meeting some of the new brewers and owners. And drinking some new beer! So excited about so much about TWD. Looking forward to the Berliner and a lot of everything else.